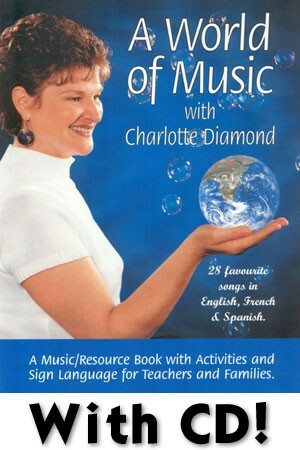 A Songbook with music for piano and guitar, plus activities, actions and sign language for 22 of Charlotte's best-known songs in English, French and Spanish. 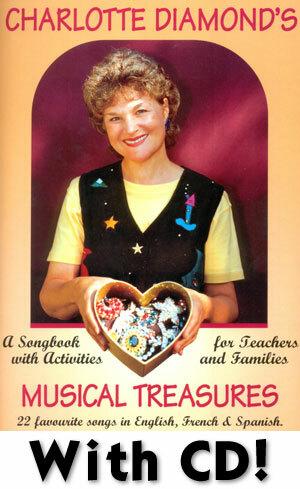 Includes a compilation CD with all of the songs in the book! No matter what age we are, we all need the happiness that music can bring into our lives. Everyday seems a little bit brighter when it begins with a song and ends with a soothing melody and a good story. 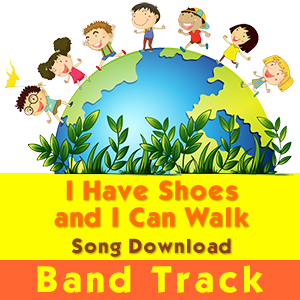 I hope that this songbook brings a smile to your face and leaves you with a song in your heart. Don’t forget that “Four Hugs a Day” keeps the blues away! 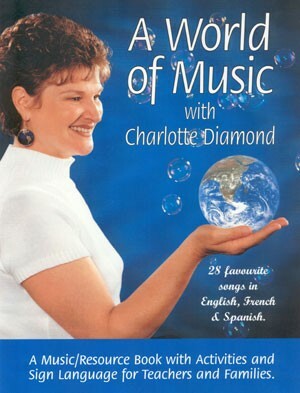 Includes songs from her Award-winning recordings, including Juno Award Winner and Parents’ Choice Classic Award Winner, 10 Carrot Diamond. 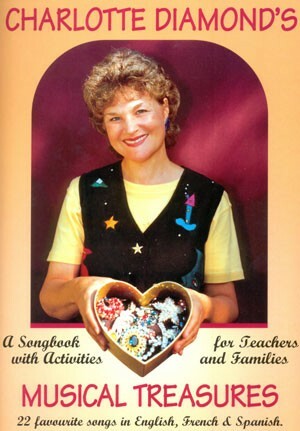 Winner of the Our Choice 1999 Award from The Canadian Children’s Book Centre. A Canadian bestseller!